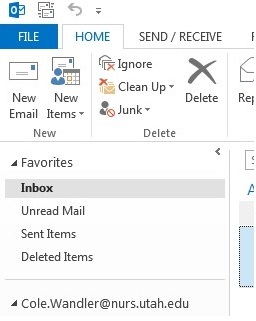 (If you run out of space on your Outlook email) Deleting emails in Outlook will put them in your Deleted folder, BUT the emails put into the Deleted folder will not empty after awhile. 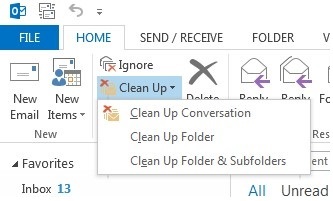 You need to also delete the emails from the Deleted folder as well. 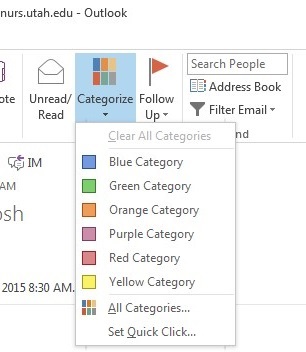 This will free up space on your Outlook Account. 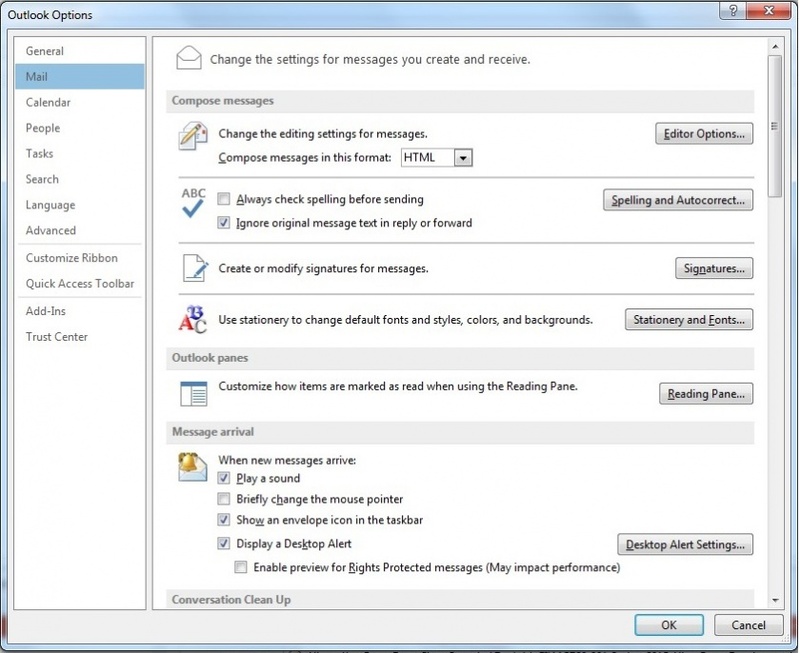 The “Outlook Options” menu has numerous features you can customize. Some calendar options include adding holidays to your calendar, setting permissions for “who can see what” on your calendar, changing the calendar appearance (color, font), etc. Options are stored on your “local” computer. 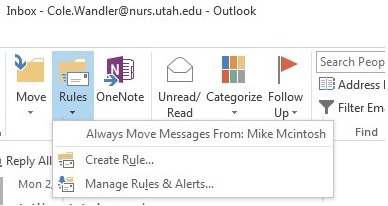 If you access email from more than one computer, you will need to set options on each of them. 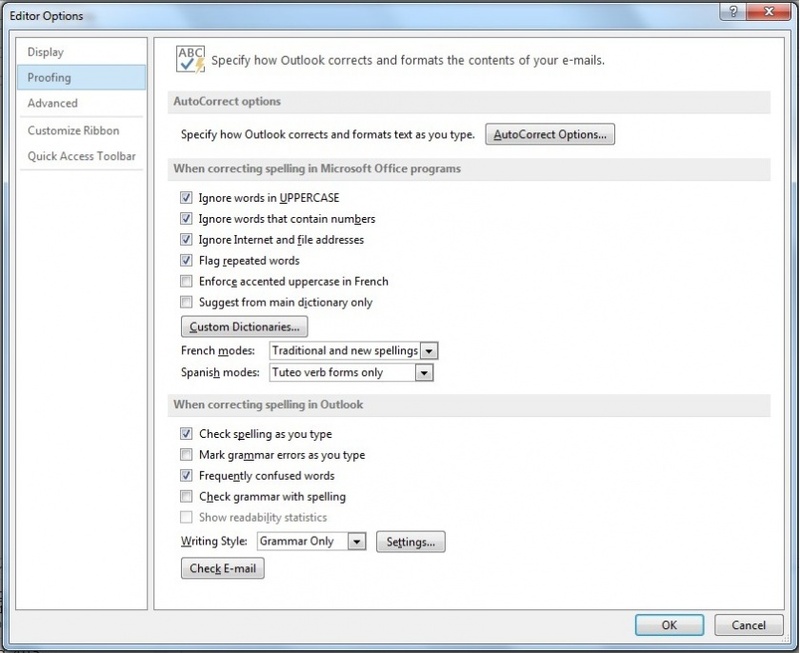 Spelling and Autocorrect - Change how Outlook checks spelling, grammar, etc. as you type emails. 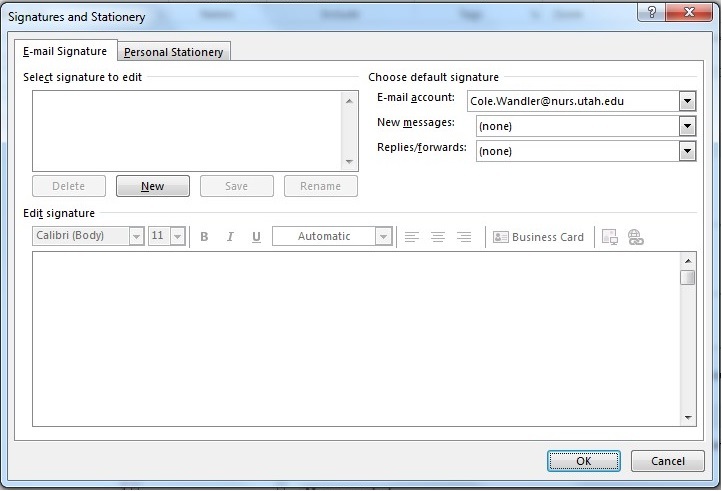 Signatures - Set up the signature(Ex. name, department, etc.) 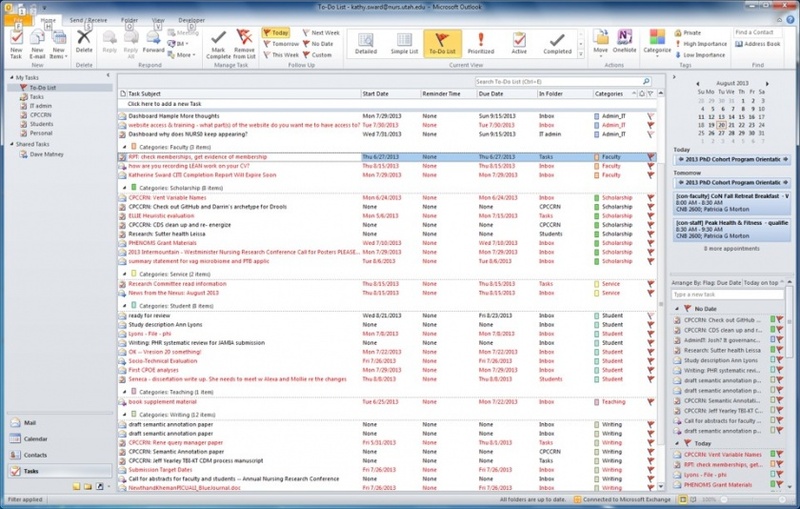 you want at the end of all of your emails. 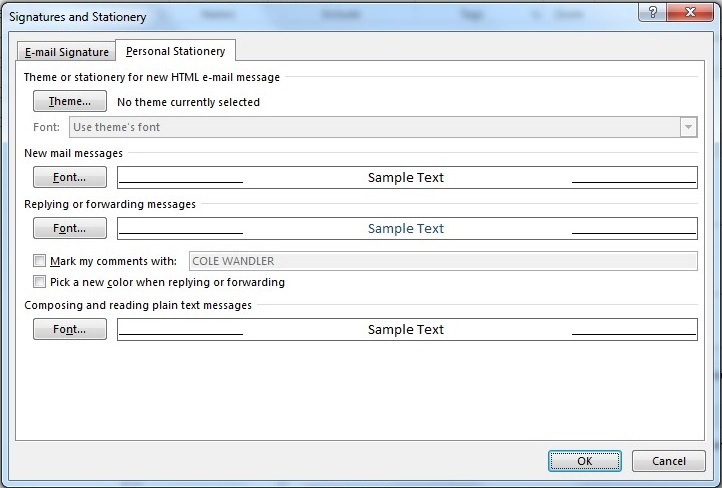 Stationary and Fonts - Set up your personal stationary that will show up on all of your emails. Note - Don’t “reply all” if the message was sent to con-faculty or con-staff – unless you really mean to reply to everyone in the College! 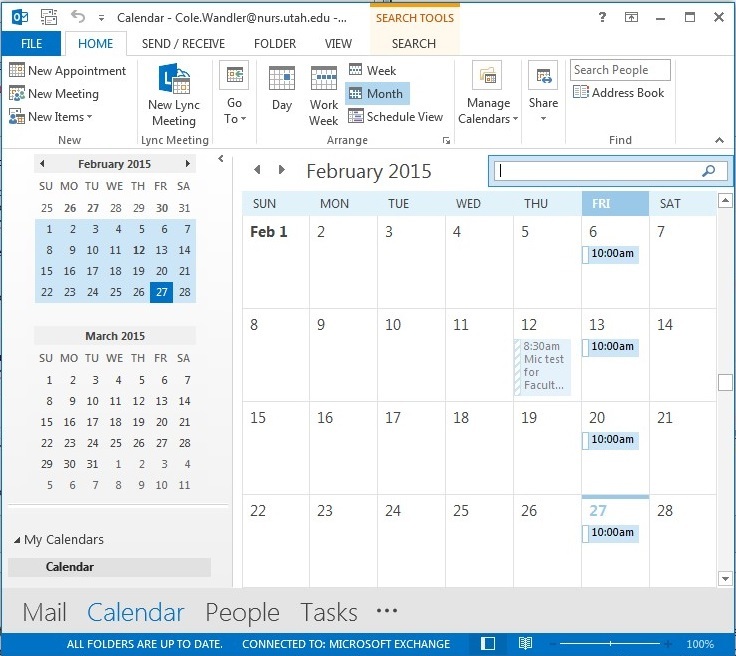 You can access your Calender simply by clicking on the Calendar word at the bottom left corner of the screen. Keep your calendar up to date! It is much easier to find a meeting time that works if calendars are kept up. You can also use the Scheduling Assistant to help you. 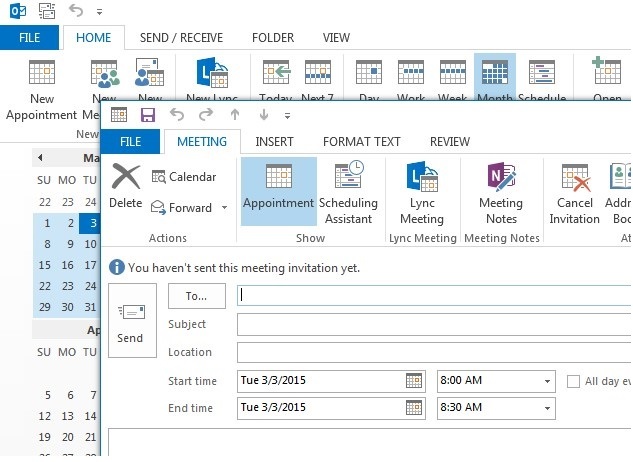 To access the Scheduling Assistant, first while the calendar is selected, click on New Meeting. 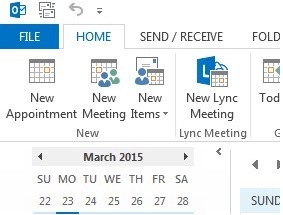 In the New Meeting window, click on Scheduling Assistant. 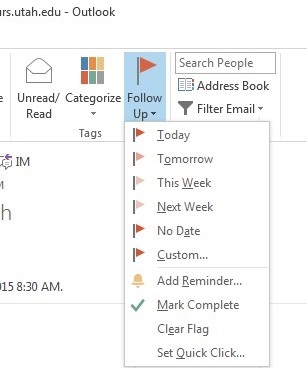 Task Lists help you to categorize emails. 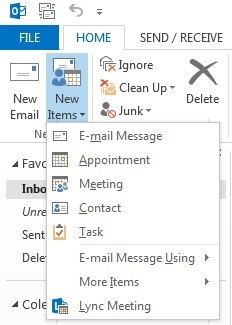 To access the Task Lists, click on Tasks on the bottom left corner of the screen. This page was last modified on 13 May 2015, at 12:07.